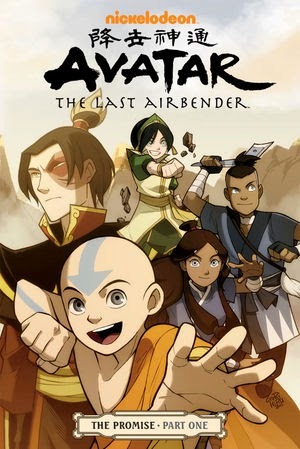 I was not introduced to Avatar: The Last Airbender until about a year after the series had ended. One of my roommates at the time told me that this was a series that I had to watch. And I found that, even though its target audience was children, the series had such a gripping story line and such wonderful characters as to keep me interested from start to finish. 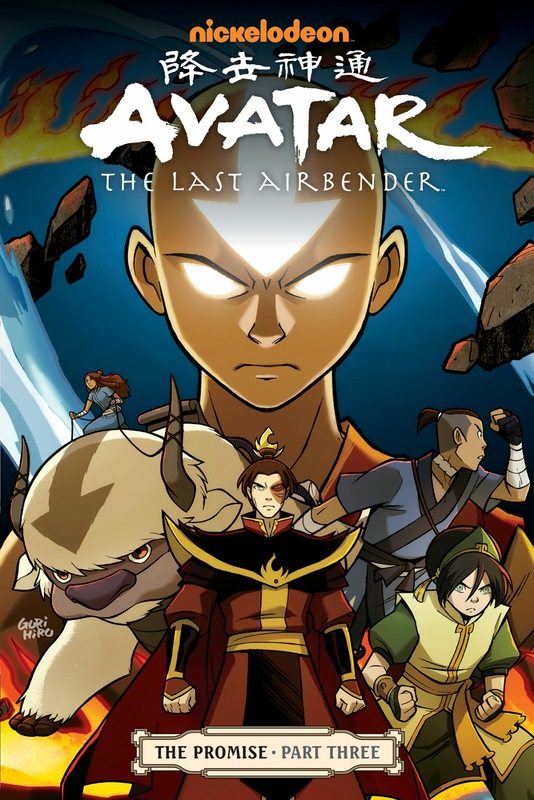 I looked forward with excitement when the live action movie adaptation came out (which disappointingly turned out to be a flop), as well as when the sequel series, The Legend of Korra, was announced (which did a much better job of living up to the Avatar legacy than the movie). Avatar was great, though there were a number of questions left unanswered at the end of the series, the most pressing of which was the fate of Zuko's mother (which was teased, but ultimately left unanswered in the pilot episode of the Korra), as well as how many of the changes in the world in the seventy years between the end of Avatar and the beginning of Korra came about. The graphic novels were set up as a trilogy, with each story consisting of three parts. The last story is not complete yet, though Part Three will be released next month. I am planning to do a review of each story, starting this week with the first story, The Promise. 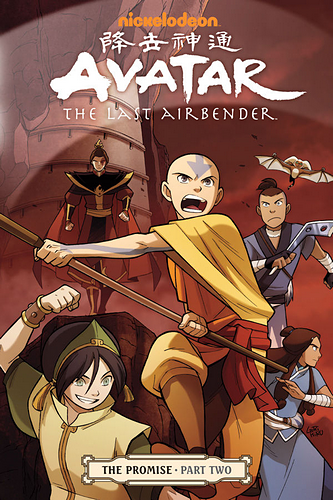 The Promise starts immediately following the close of the Avatar series. Aang and Zuko are working with the Earth King to have the Fire Nation Colonies removed from the Earth Kingdom. Early on in Part One, Zuko asks Aang to make a promise to him. As the newly crowned Fire Lord, Zuko fears what the pressures of ruling and the legacy of his family might do to him. Zuko asks Aang that if he ever see him turning into his father, that he end his life. Aang resists at first, but when Zuko presses the matter, Aang reluctantly makes the promise. 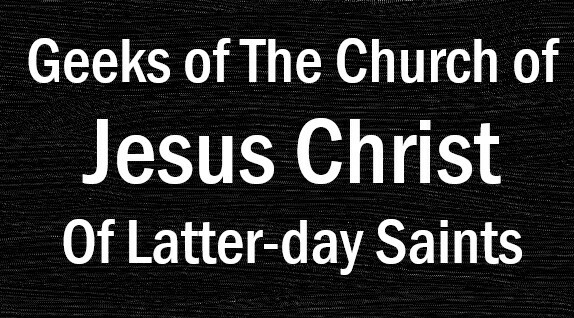 The title of the story is based on this promise. As the story goes on, it is revealed that some of the older Fire Nation colonies, some of which have been in existence for over a hundred years, have become integrated with the Earth Kingdom, with citizens of the Fire Nation forming families with citizens of the Earth Kingdom. When Zuko sees this in one particular colony, Yu Dao, and he sees that removing this colony would break up families and cause harm to both citizens of the Fire Nation and the Earth Kingdom alike, he changes his mind and decides not to remove this colony, and even defends their right to stay. The rest of the story deals with the aftermath of this decision, especially as Aang doesn't initially understand why Zuko has reneged on his agreement, and has to seriously consider whether or not he will have to carry out the promise that he made to Zuko. Though I won't give the ending away, anyone who has seen the pilot of Korra knows that Aang and Zuko remain friends throughout their lives and go on to found Republic City. This story shows the roots of the movement that unified members of the different nations and eventually culminates in the creation of Republic City. It also shows how “mixed-nation” families (such as Aang and Katara or Mako and Bolin's parents in Korra) could come about. One of the side stories in The Promise concerns Toph and her early attempts to train other earthbenders in metalbending. It is fascinating to see the starts of what could eventually become the metalbending masters of the Republic City police force that Toph's daughter Lin leads in Korra. 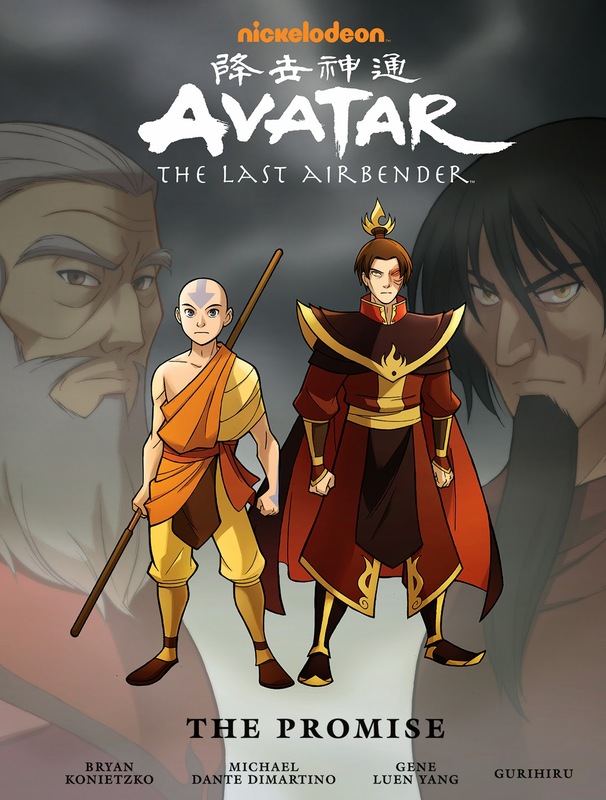 It is also exciting to see the characters introduced in the Avatar series continue to develop as many of them realize that the solutions to the problems in this post-war world aren't as black and white as they might first appear to be, and that there can be more than one way of looking at a problem. This is seen in particular in Zuko's relationship and interactions with his father. The creators of Avatar were closely consulted in the writing of The Promise and the other graphic novels that follow, and I was pleased to see that the author did a very well in keeping everyone in character. As with the premiere of Korra, the fate of Zuko's mother was teased in The Promise without being answered. In fact, we do see former Fire Lord Ozai respond to Zuko's question to him about where his mother is (as was shown in the finale of Avatar) without revealing her fate. The Promise did close, however, with the promise that the next story would address that question. Indeed, the next book is titled, The Search, and Team Avatar will be aided in their search for Zuko's mother by none other than Azula. Overall I found The Promise to be a really enjoyable read. I am looking forward to reading The Search, which looks to be even more exciting.